In order to meet the variegated demands of the clients, we have come up with a wide range of Fire Hydrant System. Our offered range is precision-engineered by our deft team of professionals, following all the quality parameters set by the industry. To ensure that all the products are as par the international quality norms, we use of qualitative raw material and advanced technologies. 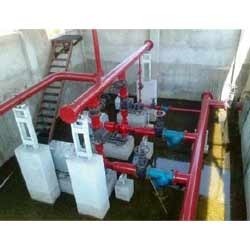 In order to meet the variegated demands of the clients, we have come up with a wide range of Fire Hydrant System. Our offered range is precision-engineered by our deft team of professionals, following all the quality parameters set by the industry. To ensure that all the products are as par the international quality norms, we use of qualitative raw material and advanced technologies. Furthermore, we avail this range in various custom-build models to meet the distinctive requirements of our clients.